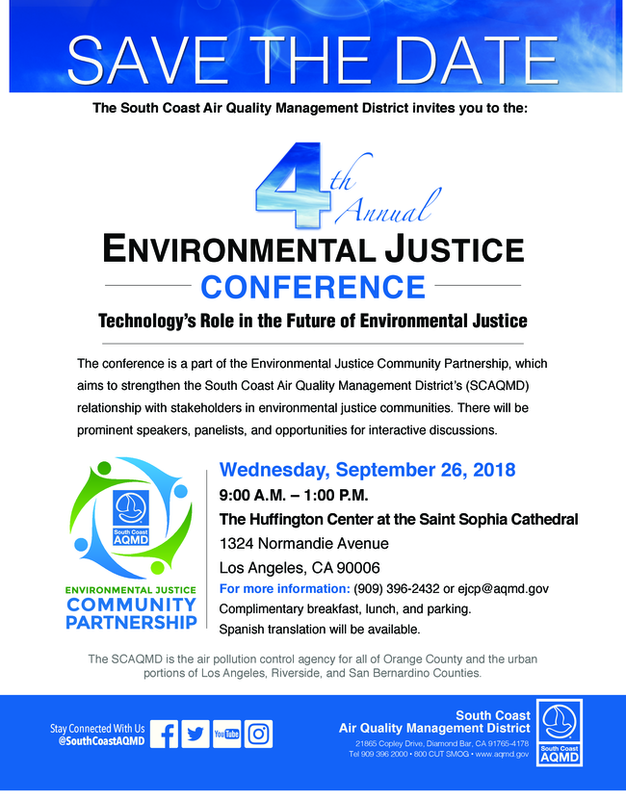 The South Coast Air Quality Management District will hold its 4th environmental Justice Conference on Wed. September 26 from 9 am to 1 pm. Free breakfast, lunch, and parking will be provided. See the flyer below to rsvp. The Harbor Gateway North Neighborhood Council area has a number of environmental justice issues, including a high level of air pollution from the 91, 110, and 105 freeways, oil and gas drilling operations, and the dust which blows over residential areas from construction materials recycling at California Waste Services.